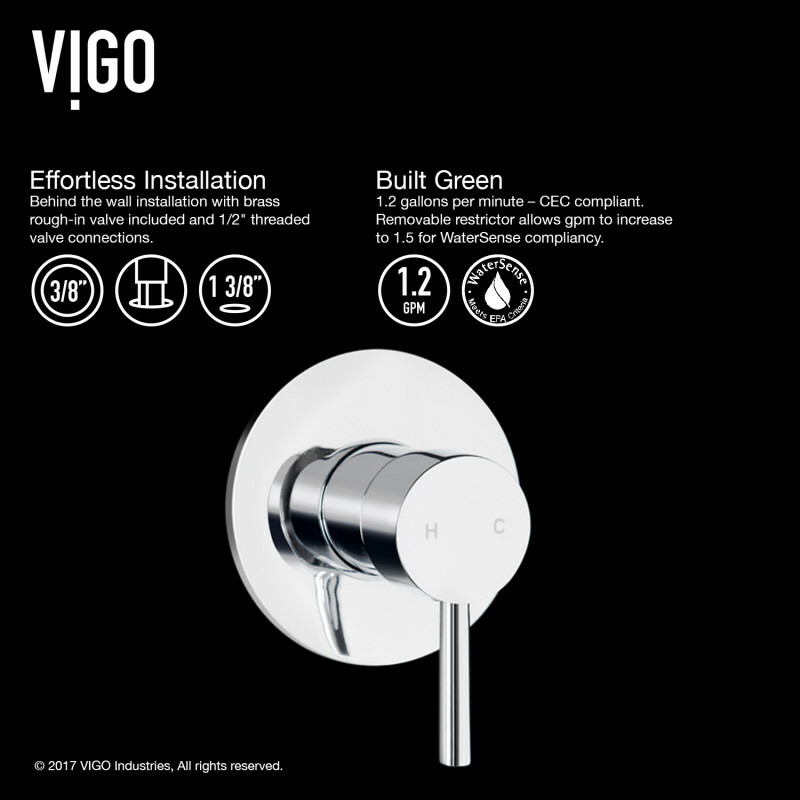 The VIGO Olus Wall Mount Bathroom Faucet remains durable and beautiful over time thanks to its solid brass construction. 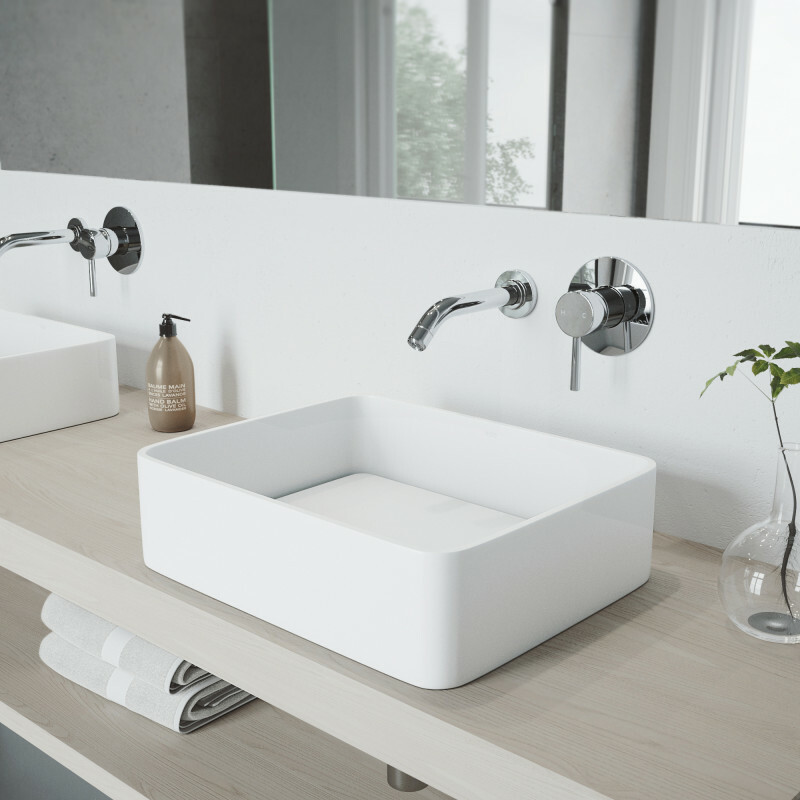 The unique, circular design of the faucet brings a modern look to any bathroom sink and frees up more valuable counter space in your bathroom. 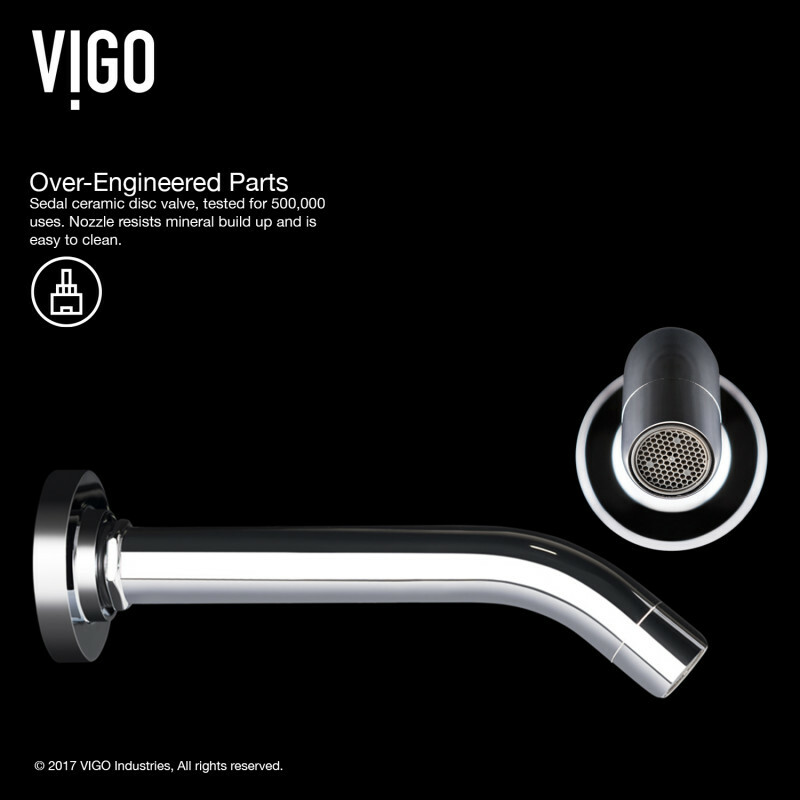 VIGO Olus Wall Mount Bathroom Faucet is rated 4.2 out of 5 by 25. Rated 2 out of 5 by JessInCO from New model is diferent than posted spec sheet At the time I ordered this faucet the spec sheet indicated that the spout and mixer were separate pieces (still this way as of the date of this review), which would allow me flexibility in the hole spacing, which was something I needed. 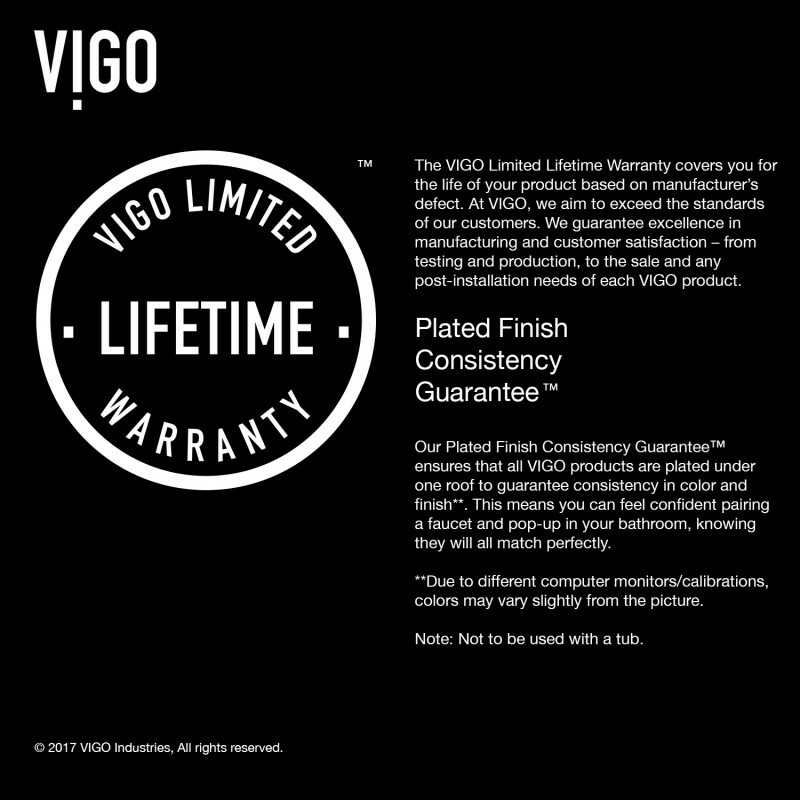 When the faucet arrived, the manufacturing had changed and the spread is no longer flexible. I had to return this and look for a faucet that would work as advertised, which delayed completion of the project. I do believe that my refund has been processed without issue. 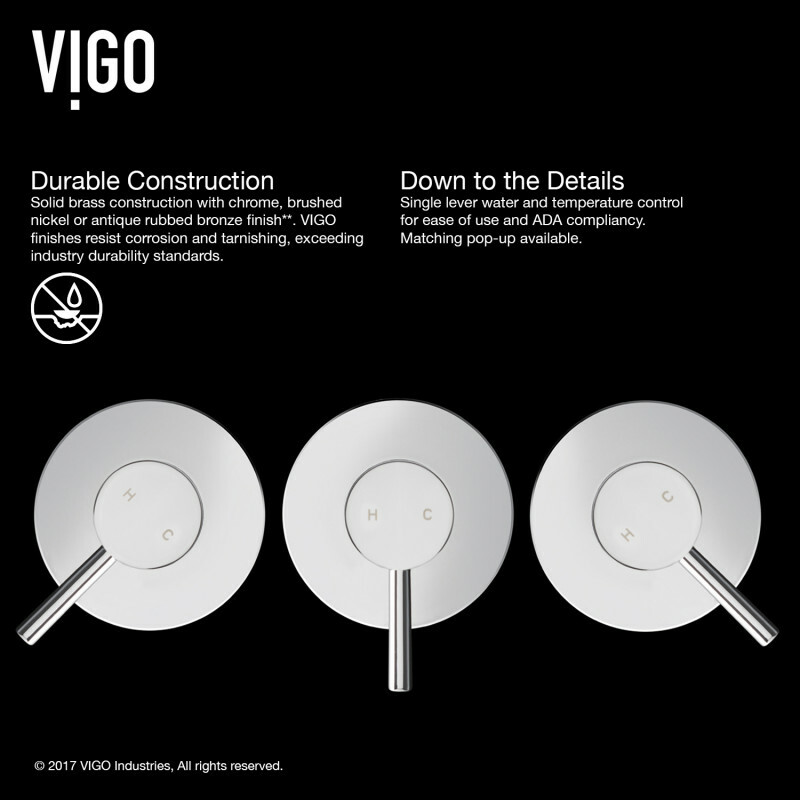 Rated 5 out of 5 by AndrewSQ from High end Product Solid construction, easy installation and works quite well. Extremely happy with the quality, finish and use. Highly recommend this product. 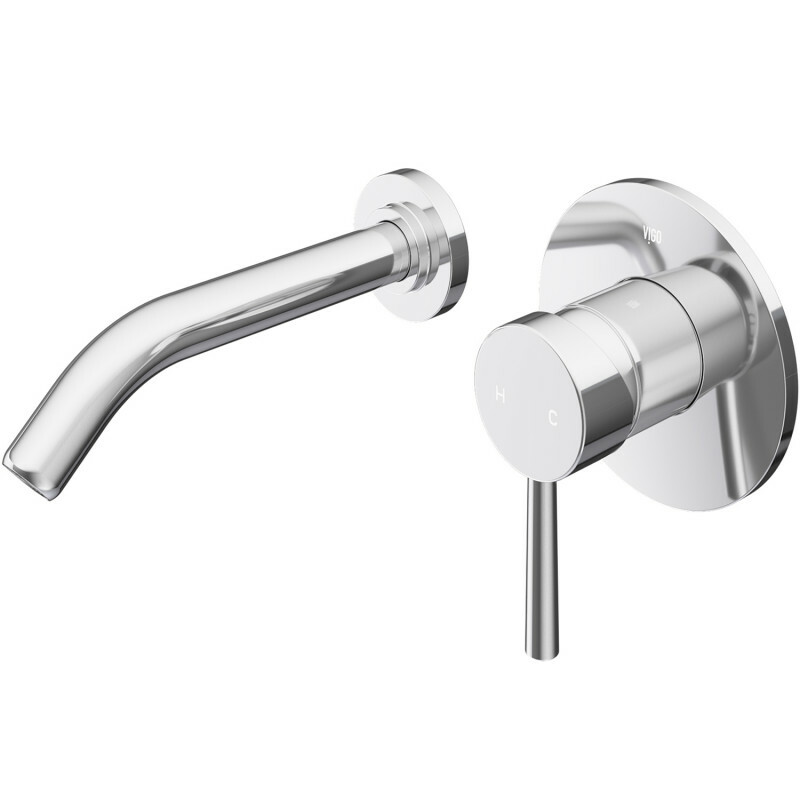 Rated 3 out of 5 by kerry from mixed review This is a really cool looking faucet for the price, and it feels expensive, works nicely, has a good solid feel, seems really well made. But there are a few problems. It was really difficult to install - don't try to do it yourself. Also, no one would ever notice probably but the trim ring on the faucet doesn't quite match the trim ring on the handle. Also the trim ring on the handle doesn't attach to anything so when you try to clean t it just spins around, although you could put some caulking under it and stick it to the tile and it would be OK. Wall mounted faucets also have the added risk that if something leaks you've go to pull off the tile and open it all up to get to the connections. But now that it is said and done I love it. Rated 2 out of 5 by kahh from non-standard It's a beautiful quality faucet, but installation was difficult. Maybe it's European and they have different standards? The water intakes are non-standard female 1/2 inch so I had to use an additional coupling. The instructions are useless. The method to attach it to anything is weird and unstable so I had to use shims and wire to make it work. 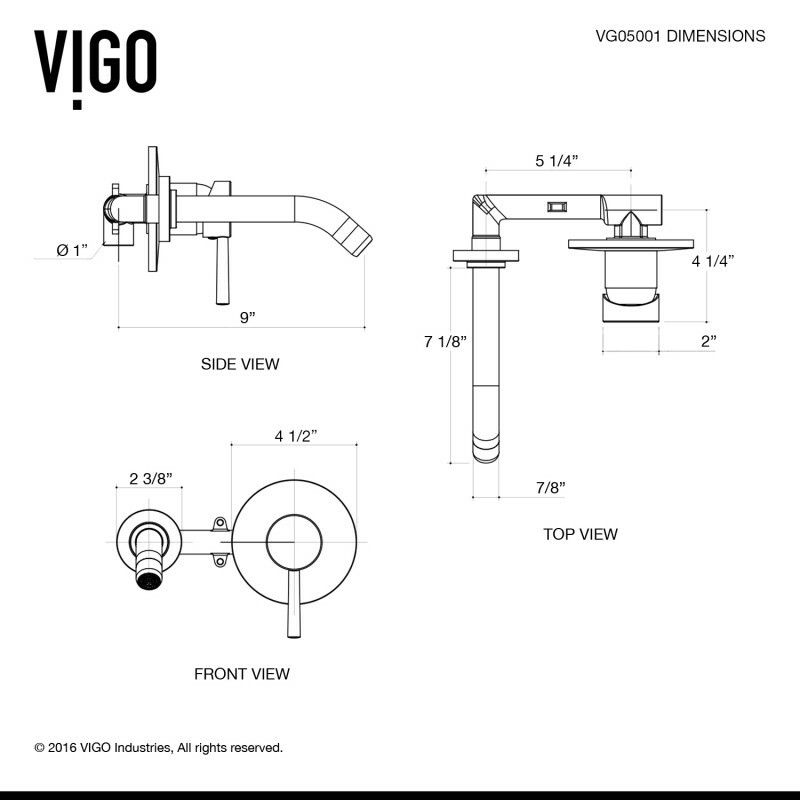 Also a consideration when installing any wall faucet: if you'll ever need to get at it, you're gonna have to rip your wall apart. Rated 5 out of 5 by have not nickname from Not in yet in, but plumber impressed The plumber should be installing the faucet in the next week. When he looked at he was impressed and said we got a good one and it should do well. 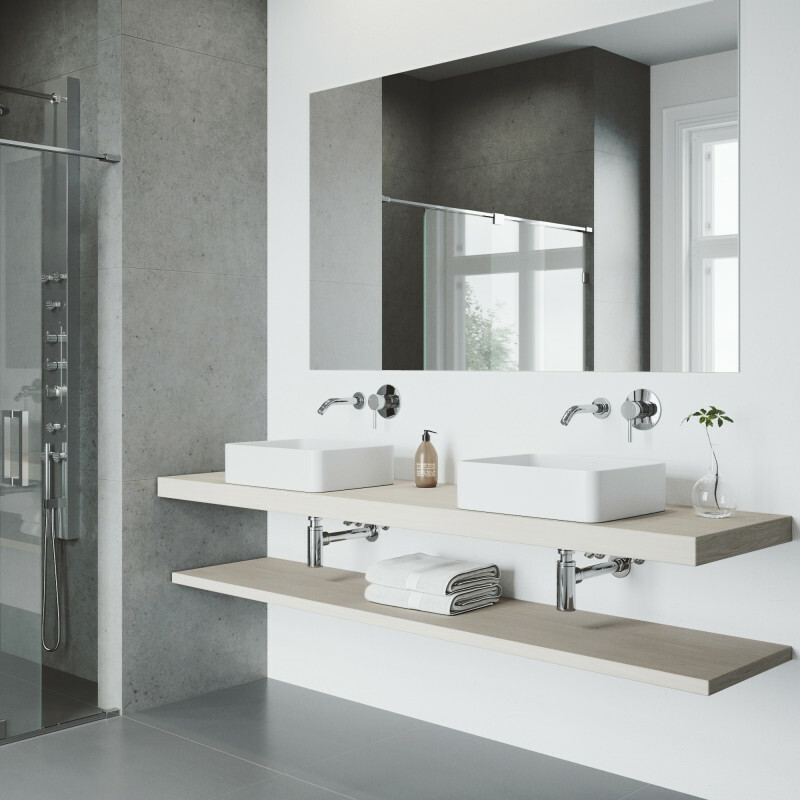 There were not a lot of wall mount faucets available in show rooms or on line. A few years ago we installed one at our first beach house. 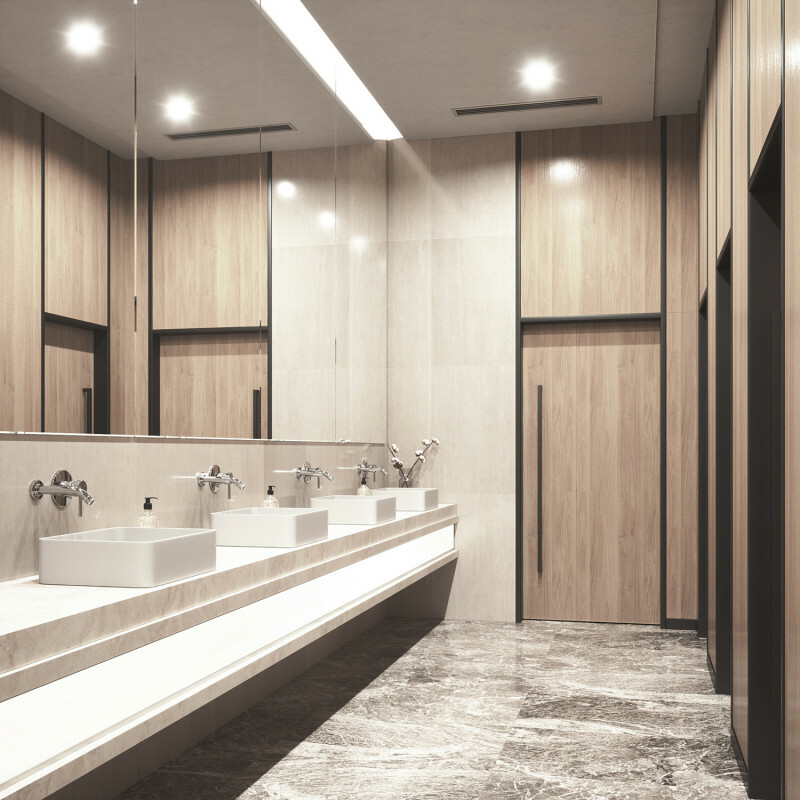 We love it but it was hard to find also and cost about twice as much as this one so we are very pleased with the price, the communication keeping us updated from eFaucets, and the speed which it was delivered. There was also a 10% discount offered but at check out no mention of it or place to click. I ordered it and emailed eFaucet about the discount I did not received. They replied immediately and soon sent me a check. Now just waiting to see how it functions. Rated 4 out of 5 by bpb156 from Great faucet but supply your own washer I installed this faucet myself during our bathroom remodel, My wife and I love it. I would have given it 5 stars but the O-ring supplied to seal the spigot to the manifold looks great but doesn't actually work. When you tighten the spigot so that it points down into the sink the O-ring bulges out and leaks. Very easy fix to just put a regular rubber washer on there, no more leaks. Rated 5 out of 5 by BlueFig from Great Product and at this price point your not going to find one better. I bought this faucet for a personal bathroom remod. I also do this type of work for a profession.